As a Social Media & Technology Specialist, as well as the Managing Editor & Webmaster of this site, I’ve had a front row seat to the issues, challenges, and rewards of leading the digital conversation on Equity, Diversity, and Inclusion (EDI) on the social web. 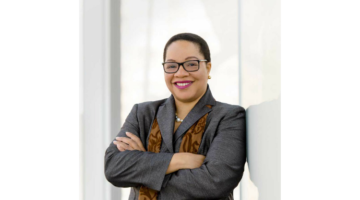 Along the way, I and Dr. Denise O’Neil Green (Executive Editor of this blog) have devised a How-To Guide to help diversity officers and other professionals use social media to carve a niche in the social networking arena. 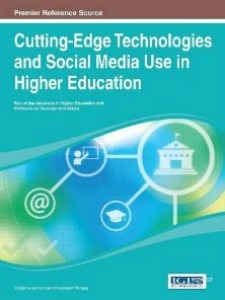 We’ve recently contributed to the IGI Global Publication: “Cutting-Edge Technologies and Social Media Use in Higher Education”, and our Chapter (12) is “Leveraging New Media as Social Capital for Diversity Officers: A How-To Guide for Equity, Diversity, and Inclusion Professionals Seeking to Use Social Media to Carve a Niche in the Social Networking Space”. In the chapter, we give an overview of the social media space and review new media technologies and emerging strategies in the field. We also discuss the steps needed to develop and implement a successful social media marketing strategy, then we move the discussion to identifying the right combination of new media tools for an intended audience. We end the chapter with a series of suggestions for next steps to turn theoretical plans into actionable steps, and we provide a Social Media Marketing Planning Worksheet to help aid in this process. (You can purchase the entire book or just our chapter). View the Chapter Sample. 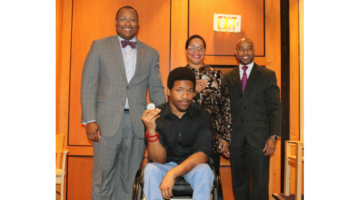 We also started the EDI Tech Corner Series to provide a better understanding between the field of Equity, Diversity, and Inclusion and its link to the technology that helps to promote the EDI message of creating a more diverse and inclusive society. Within this series, we’ll discuss the evolution of the World Wide Web, the advent of social networking, and how social media tools can be used to engage enthused EDI stakeholders in the online marketing space. We encourage you to provide your questions and feedback to help us continually enhance this series. If you’re reading this message, you’re seeing a perfect example of how social media is being used by a Chief Diversity Officer (CDO) to educate and share best practices among diversity and inclusion professionals on the social web. Given the altruistic aims within the EDI field, and the fact that social media marketing initiatives work best within enclaves where tenets of “old school” word-of-mouth marketing can grow exponentially with technology among enthused participants, the new media space arises as the ideal place to explore the use of social capital via social media. Leveraging New Media as Social Capital for Diversity Officers is a guide to help others replicate our success, and as always, I’m available to utilize as a resource, being there when you don’t know what you don’t know, offering Simplified Social Media Solutions. Got questions, concerns, comments, or feedback? Leave them below*, fill out our brief survey, or Contact Me Directly. I'd love to hear from you.